We Buy Houses Fast in the Greater Toronto Area! We Buy Houses Fast Anywhere In and Around the Toronto Area. Any Price, Any Condition. Check Out How Our Process Works. We’re Ready To Give You A Fair Offer For Your House. If you need to sell your Greater Toronto Area house fast… we’re ready to give you a fair all-cash offer. Stop the stress of your unwanted property. Let us buy your Toronto area house now, regardless of condition. Too many repairs? Avoiding foreclosure or Power of Sale? Need debt relief? Are you trying to sell as part of an estate sale? Involved in a divorce? Are you relocating? It doesn’t matter whether you live in it, you’re renting it out, it’s vacant, or not even habitable. We help owners who have inherited an unwanted property, own a vacant house, are behind on payments, downsized and can’t sell… even if the house needs repairs that you can’t pay for… and yes, even if the house is fire damaged or has bad rental tenants. If you have a house and need to sell it… we’d like to make you a fair cash offer and you can move out on the day of your choice. Do You Need To Sell Your House in the Toronto area? 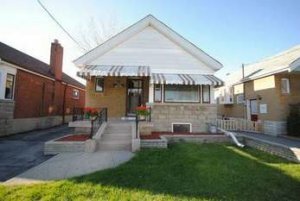 We buy Toronto area houses fast. Call or text (647) 848-7790 for a fair cash offer! We’ll know very quickly if we can help you, and unlike selling through an agent, you don’t have to wait to see if the buyer can get financing… we have the cash and are ready to buy right now! We buy houses fast when others can’t. Any price, any condition. Do you own a house and want to sell now for any of these reasons or perhaps you just think it’s time? Are you behind on your payments or in foreclosure, Power of Sale or bankruptcy? Are you trying to sell a house as part of an estate sale? Has your house suffered fire damage? We buy houses from people in situations just like the above in almost any area or price range and many times our sellers have none of these issues but want a fast sale. We’ll make all the arrangements and close with a lawyer. We’re not Realtors. We’re real estate investors who buy many houses every year and are ready to buy more houses today! To find out how you too can sell your house as is for a fair price on the date of your choice call (647) 848-7790 or fill out the short form here on our website and you’ll receive a call or email within hours. If we can buy your house you’ll know quickly and we’ll close when you’re ready. All information is kept strictly confidential. Privacy is important to us and we’re accredited with the Better Business Bureau. There is no pressure and you’re under no obligation to do anything. If you would like to talk with us before submitting your property information, then call us today at (647) 848-7790.